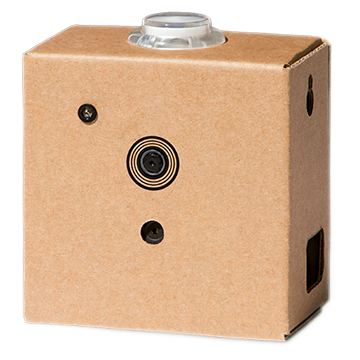 The AIY Vision Kit is a do-it-yourself intelligent camera built with a Raspberry Pi and the Vision Bonnet. Also see the Vision Kit assembly guide. aiy.toneplayer: A simple melodic music player for the piezo buzzer. aiy.trackplayer: A tracker-based music player for the piezo buzzer. aiy.vision.annotator: An annotation library that draws overlays on the Raspberry Pi’s camera preview. aiy.vision.inference: An inference engine that communicates with the Vision Bonnet from the Raspberry Pi side. aiy.vision.models: A collection of modules that perform ML inferences with specific types of image classification and object detection models. aiy.board: APIs to use the button that’s attached to the Vision Bonnet’s button connector. The Voice Kit includes the following Voice Bonnet hardware. Also see the Vision Bonnet on pinout.xyz. See the Vision Kit help.